Assistant pastor William Demps jr.
Our Assistant Pastor William Demps, Jr has been blazing the camp of the enemy from an early age. With spiritual insight, wisdom, biblical knowledge and musical talent beyond his years, this “old soul” has been the Joshua of this house serving under our Founder and our Senior Pastor. Accepting the call to ministry at the age of 14, William by definition was already set apart. Many of our first members, where direct converts of his evangelism. His passion for the kingdom and his diligence for excellence in ministry has under-girded the vision of his Founder and Pastor and continues to propel us onward. Assistant Pastor Demps’ music ministry was what God trusted him to lead first. With the talent and anointing that God placed within him, he has become a nationally renowned gospel artist. Those same gifts and anointing have been matured to equip “Our Joshua” to work alongside our Pastor to bring the Plan of God for this house and the Vision of our Founder to fruition and on to the next dimension. After getting his break appearing on John P. Kee's 2005 New Artist Compilation and winning the Gospel Music Workshop of America’s (GMWA) 2005 Gospel Treasure Search, William emerged as one of the freshest male vocalists in contemporary gospel music. And so in 2007, he independently released a full studio recording Just A Reminder , to critical acclaim. His collaborative effort, Will You Be Ready, with one of gospel’s greatest producers, John P. Kee, led to calls from other gospel luminaries. He has opened concerts for praise and worship greats Fred Hammond and Marvin Sapp, shared the stage with Kierra “KiKi” Sheard, Ricky Dillard, Donald Lawrence, Dorinda Clark-Cole (of the legendary Clark Sisters), Dawkins & Dawkins, Youthful Praise, Tonex and the list goes on. Highly celebrated in his hometown of Seattle, Washington as one of the area’s finest musicians, producers and singers, William is featured on Bishop David G. Evans newly released project Healed Without Scars. 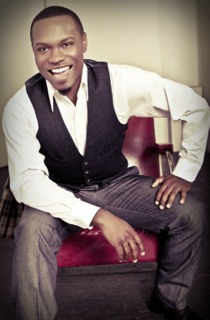 Pastor Demps’ unique style embraces the full musical expression of contemporary Christian music while encompassing mellifluous flavors of urban soul. His current project is graced by a gift of music from Grammy-nominated uber-producer Percy Bady, that was written especially for William. Recently returning from the Stellar Awards showcasing for Yes Lord! Radio’s Anniversary Celebration, William Demps is currently recording a brand new work positioned to take this Generation to the next level in urban contemporary gospel music.